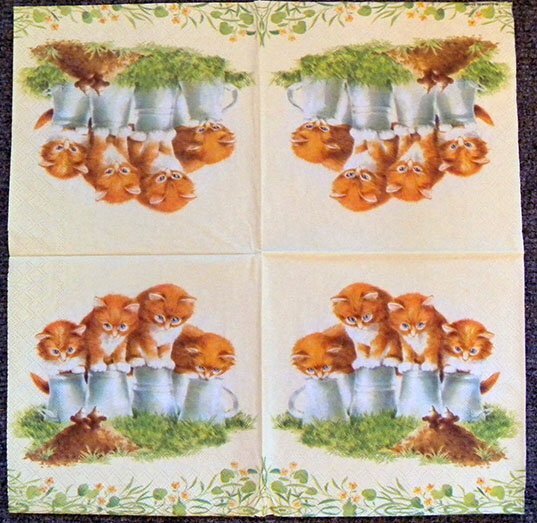 Decoupage napkins with a lovely picture of kittens and mice printed in Holland on a 3-ply paper napkin. Beautiful decoupage paper napkins perfect for napkin decoupage on glass, wood, candle, scrap booking , mixed media, and other art and crafts. 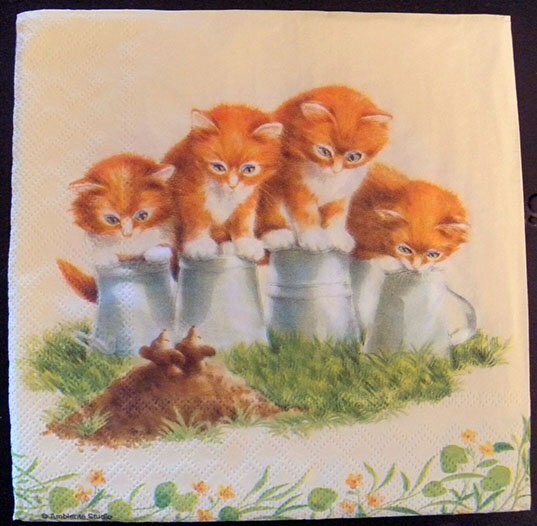 Each paper napkin measures 13″ x 13″ (33cm x 33cm).